Don't underestimate the value of food safety managers. When you pour milk over your Cheerios, you appreciate the peace of mind of knowing someone is looking out for the quality of that milk. But a shortage of trained workers, combined with new legislation that increased regulations in food manufacturing, created a significant demand in qualified food safety managers in the US. "We have a food manufacturing workforce capacity problem in our country," said Dr. Clint Stevenson, assistant professor and distance education coordinator for NC State's Department of Food, Bioprocessing and Nutrition Sciences (FBNS). "We don't have enough people qualified out there who know what they're doing." Stevenson set out to change that, leading the charge for NC State by streamlining an online program, the Food Safety Manager's Certificate. With this three-course, fully-online program, just about anyone in the world can learn the basics of food safety, quality control and operations management. Before coming to NC State, as quality supervisor at a large food manufacturing plant, Stevenson learned the importance of a highly qualified team. So when he prepared to revamp the certificate program, he knew to team up with the right people. Stevenson approached DELTA about forming a unique relationship between his department and DELTA by hiring a joint DELTA-FBNS instructional designer to assist with developing certificate and other online efforts. "Instructional designers bring much more value than you'll ever realize," said Stevenson. "A good instructional designer will make you more student-centered and help you to focus on remaining a subject matter expert while improving your effectiveness as a teacher." DELTA welcomed the partnership and together they hired Brook Corwin to serve as an instructional designer and liaison between DELTA and FBNS. Stevenson and Corwin dove into the subject matter, and the vision for creating an exceptional learning experience began to grow. So did their team. Stevenson involved his teaching assistant to represent the student perspective. Corwin provided a bridge into other DELTA services, and soon members of DELTA's Video Communication Services, Marketing and Partnership Development and Instructional Innovation Services jumped on board to offer video production, marketing, design and course production services. "From the beginning, Clint had such a clear idea of what students should gain from completing the certificate," said Corwin. "Plus, he was eager and willing to engage learners through multimedia and interactive content. That made for a natural connection to the talent and creativity in abundance at DELTA. The learning goals of the project were very well defined, so all members of the team could contribute their expertise while still maintaining a coherent experience for students." 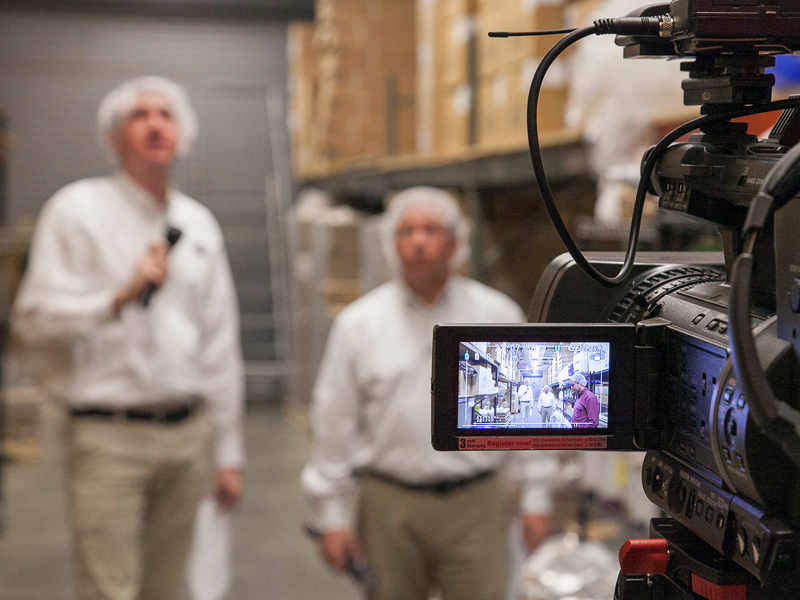 Early on in the project, Stevenson and Corwin decided that the certificate students needed exposure to a real food processing plant–a challenge for Distance Education students spread around the globe. 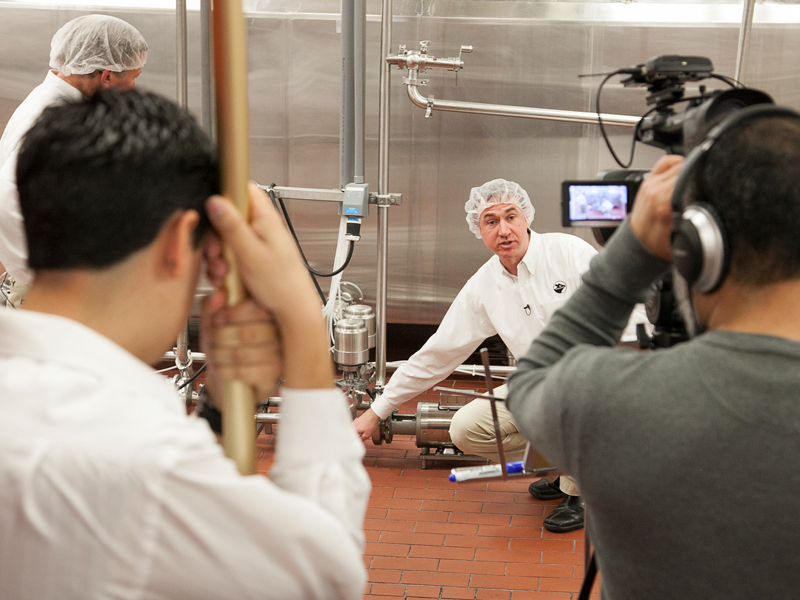 One day, as Stevenson was walking through the basement of Schaub Hall, an idea struck him: He would create a video-based case study from NC State's Robert H. Feldmeier Dairy Processing Plant, where Howling Cow ice cream is made. To pull this off, Stevenson and Corwin pulled together an even larger team. Adding the production crew from DELTA's Video Communications Services (VCS) and the Howling Cow staff, the team planned a video experience for the students that would orient them to life in a plant environment, train them in hazard analysis and critical control points (HACCP), and illustrate the unexpected nature of plant operations. They also wanted the students to connect with the plant staff and see what it was really like to be a food processing operator. "We wanted to put the student in the shoes of the plant operators and managers," said producer John Gordon. "Some of the students have never been in a processing plant of any kind. The videos will be their first exposure." The VCS team went to extraordinary lengths to show a day in the life of the Howling Cow staff, keeping the student learner as their focus. For the opening documentary, the production team spent two and a half days in the plant arriving at 5 a.m. and leaving at 5 p.m.
"It was critical to document what the guys in the plant are up against every day if the student is to fully comprehend the complex and uncertain nature of milk processing and ice cream making," said Gordon. Stevenson, involved throughout the production process, praised the dedication and approach of the VCS crew. "They do much more than producing video," said Stevenson. "They're specialists in producing videos that enhance learning and tell stories." In total, the team produced two instructional documentaries, 12 food safety design videos and one food manufacturing facility tour. 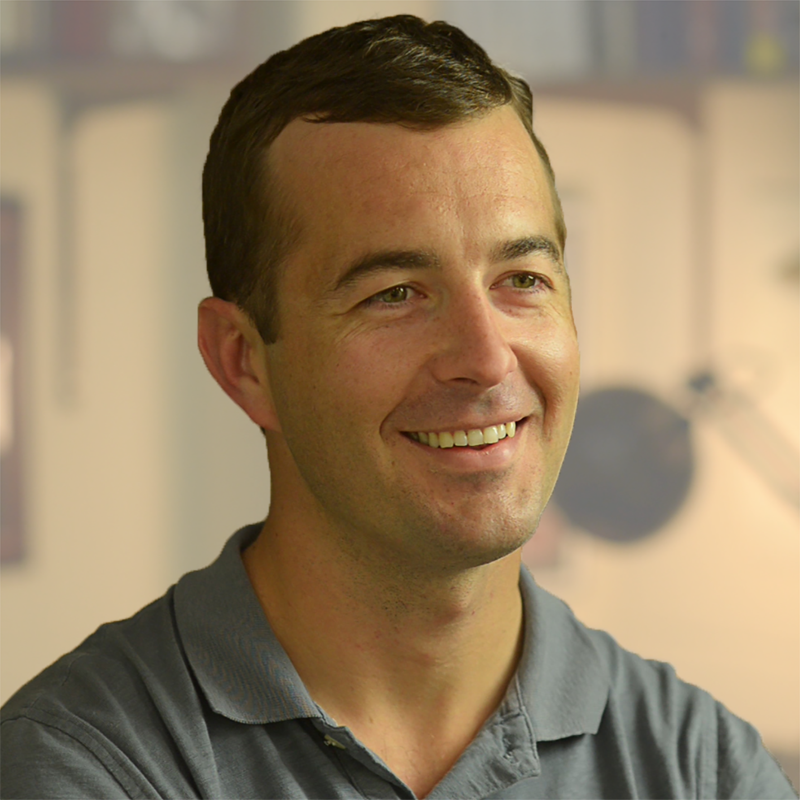 Stevenson and his colleagues in FBNS plan to use the Howling Cow case study videos in all three certificate courses and other courses, online and face-to-face, taught in the department. The videos became a centerpiece of this project, but Stevenson worked with others in DELTA to ensure the program launch's success. 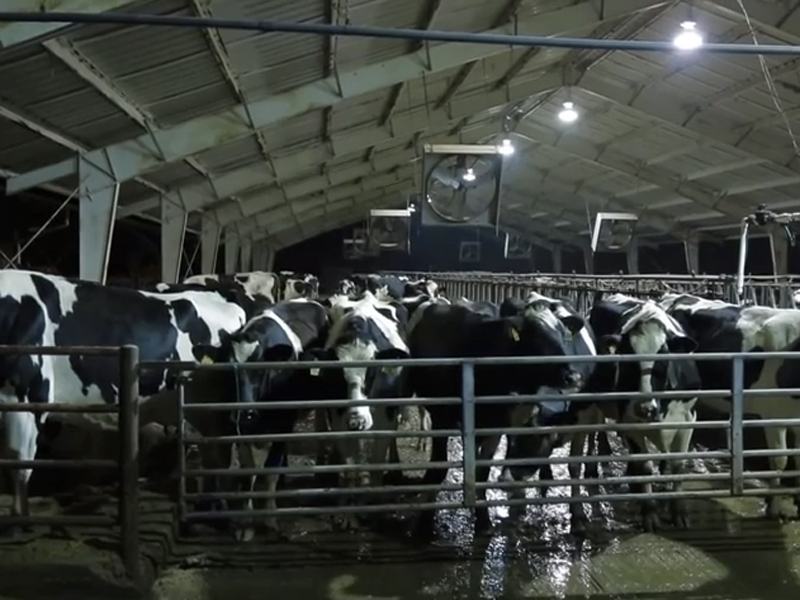 With DELTA's assistance, Stevenson hired a multimedia learning specialist to integrate the Howling Cow videos into an interactive game that places the videos in context within the plant. Stevenson also worked closely with DELTA's marketing team to effectively market the program to potential students. The team, working with an outside vendor, created a marketing website, assisted in branding project materials, and developed strategies for student recruitment. By the start of the fall semester, it came together in time for launch. "I found how valuable building the right team is," said Stevenson. "What made it special was that everyone had a vision of doing something that was cutting edge and effective. 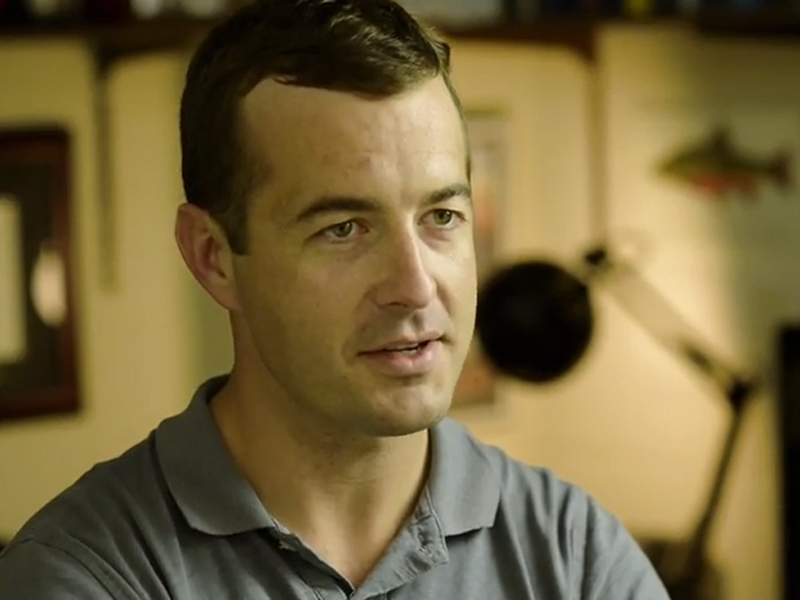 We wanted it to be awesome, and to inspire other people."